Way back in 2011 we started a little thing called 12 Days of Cookies. Staff baked cookies using recipes from our cookbook collection, and we sent them out with our delivery van to all 12 of our branches. We posted photos of the cookies and the recipes, as well as baking tips from our staff, on our old blog site, Feed Your Mind. 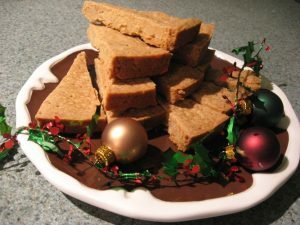 Our very first recipe was Espresso Shortbread, and is still one of our best-loved and most searched for recipes! Because we know you loved those recipes, we kept our Feed Your Mind blog archived here. When we changed to our new blog site, which you are now reading, we put all the cookie recipes over there on the side bar, so they are easy to find. And now, this year, we are taking a break. We had a really good run with those cookies. We enjoyed the recipes and photos you sent us, and we sure enjoyed sampling the baking from our staff! Our 12 Days of Cookies series even won an APLA Advocacy Award in 2014! So, because we know you love cookies as much as we do, we’ll try to make it easy for you to find new cookies to bake. We have lots of cooking magazines at our branches, so be sure to browse those when you stop by. Or look at our online magazines here. You can borrow those and keep as long as you want! And cookbooks. Oh my, do we ever have plenty of those! Want to try some healthier treats for the holidays? 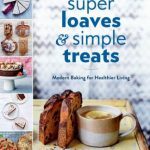 How about Super loaves & simple treats : modern baking for healthier living. Feed your family and friends and feel good about it! 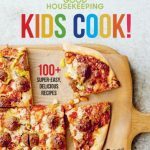 Get the kids in on the fun with Kids Cook! 100+ super-easy, delicious recipes. Baking together is not only a fun holiday tradition, it also can increase literacy, math, and science skills. Kind of a win-win situation. Some cookbooks are as pretty as the treats you can create from them. Take a look at Holiday cookies : the ultimate chewy, gooey, crispy, crunchy treats for recipes such as decadent Caramel Cheesecake Bars and Chunky Hazelnut Meringues. Dorie’s cookies boasts over 300 cookie recipes! There’s bound to be something in there that will spark your baking creativity. 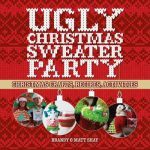 So whether you are baking for family and friends, coworkers, for a Cookie swap, an Ugly Christmas Sweater Party or just to treat yourself, we’ve got you covered. PS- Many of our cookbooks are busy this time of year. Place your holds and get in line! If you need a recipe right away, we have 7 years of cookies on our blogs, so head to those links and grab a recipe right away! Happy baking!